SuperMind is the most cutting-edge personal development training yet, which provides and equips you with the tools to go from having an ordinary mind to having an extraordinary mind in a matter of days, truly giving you a super mind! You learn to connect the Energy mind and the conscious mind by going higher on The SUE Scale (Subjective Unit of Experience), as high as possible so it then gets easier to send and receive messages to and from the Energy mind → this is what we call the Super Mind, our Super Mind. What’s the pre-requisite for the SuperMind Training? The pre-requisite for the SuperMind training is the Energy EFT Foundation or Modern Stress Management Foundation; or being an EEFT Master Practitioner, EMO Master Practitioner, MSM Professional, Project Sanctuary Master. For any inquiries contact me now. The price for this training is £950.00 only. A deposit of £250.00 is required to secure your place for this life-enriching training. For more information visit: www.eft-trining-uk.co.uk, https://jorgevence.goe.ac/, or contact me on: +44 7914 016 397, or via Skype: jorgepan83. Times: 10:00 am to 5:00 pm, with a 1-hour long lunch and 2 15-mins breaks. Number of course units: 12 - This is a three day course in the live training format. Available live or by distance learning. What Is In The SuperMind Course? Note: Infinite Creativity eBook comes included with the SuperMind Masters course fee is and is REQUIRED reading before starting Unit 1. Note: Leading to the certification of SuperMind Masters, this course structurally replaces the following courses: Project Sanctuary Masters, Genius Symbol Reader, and Creative Writing for Energists. The entire 3 day course will give you the essential skills, abilities and knowledge to communicate successfully with your own energy mind. You will learn how to engage your own energy mind to create unique, personalised solutions to your own challenges, goals and questions. The SuperMind Masters course puts you into the position of becoming a creator of personal development models and techniques, rather than simply a consumer. The SuperMind Masters course makes you into the story teller, rather than the audience; the writer rather than the reader; the creator rather than the repeater; the shaman rather than the flock. You will find direct, easy, safe access to literally endless streams of pure, perfect creativity, and this is all your own. You will learn how to control these streams of creativity and use them to your advantage in personal development, healing, communication, business success and personal relationships. 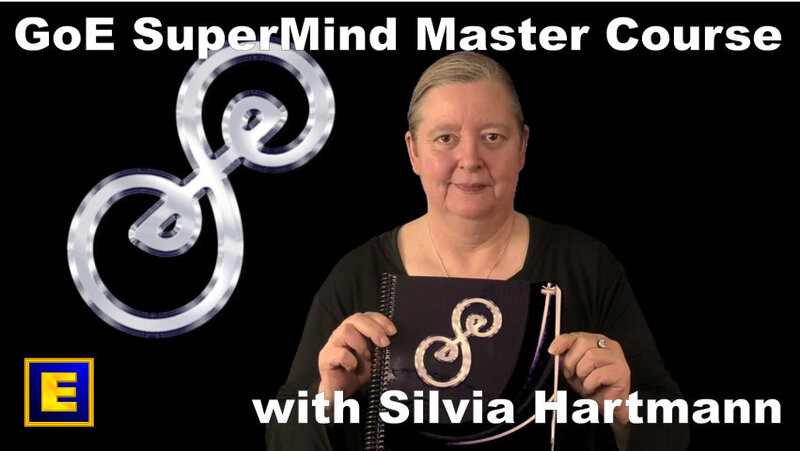 The SuperMind Masters course sets you free from having to follow other people's scripts. Instead, you can create your own, in real time, in the real world, in direct response to what is needed at the time. In the SuperMind Masters course, you are going to learn how to access YOUR highest creativity - in perfect safety. Improving the flow of energy and information between the conscious mind and the energy mind in perfect safety is the core purpose of SuperMind. This creates not only wonderfully enlightening personal experiences that cannot be had in any other way, it is also extremely beneficial for the energy body. To this end, using modern energy techniques to heal injuries, overcome blockages and restore essential connections is a major part of the SuperMind course. We sum this up with, "Fall in love with your beautiful mind!" Significantly improved energy flow between "the head" and the rest of the energy body is highly desirable and the right thing to do. In the SuperMind Masters Course, you are going to learn a wide range of new methods and techniques to significantly improve the essential flow of information rich, life giving energy in your wider energy body. Working with the energy body is what being a modern energist is all about. The energy body is way beyond linear language, but we have an operating system that can "read and write" energy - the energy mind. Understanding how to read and write energy language gives us access to "conversational change work" as well as understanding and speaking in "paranormal language." This is the foundation for de-coding myth, story and metaphor, unlocking previously unknown levels and layers of information. In the SuperMind Masters course, you will learn how to read and write energy in a whole new way. Fantasy and imagination are the most wonderful gift to humankind. Understanding how stress has played havoc with this extraordinary system and learning new ways to work with fantasy and imagination to create that threshold shift into the lucid autogenic reality is the most extraordinary gift that keeps on giving for a whole life long. In the SuperMind Masters course, you will learn how to make that threshold shift from fantasy to autogenic reality - under control, safely and delightfully. Perhaps the most fascinating gift of being able to consciously access autogenic realities and the otherworlds is that we can have experiences there which cannot be had in the physical world. Autogenic experiences have the power to catalyse the energy body just the same as physical experiences do; and so here we have a way to create custom events to complete the events matrix and evolve the energy body. In the SuperMind Masters course, you will learn how to create powerful change events of healing and evolution that cannot be achieved in physical reality. All our memories only exist as pure information now. Using SuperMind techniques, we can literally take charge of our personal library of energy information. We can reach aspects that cannot be reached in any other way and create extraordinary experiences of not just healing, but beyond that into stellar personal evolution. In the SuperMind Masters course, you will learn how to evolve energy information and create powerful energy and information flow throughout your timeline of aspects. All our lives we have been in the Hard, an illusionary construct of the real world. Here, the energy body didn't even exist, and there is no real knowledge of what an energy body needs to thrive. In the SuperMind Masters course, you will learn how to access the exact types of energies YOUR energy body, at the most personal, individual level, has needed for so long. This is extraordinary and profoundly healing in the widest metaphorical sense. The SuperMind Symbols SMS are a fascinating device to communicate with the energy mind directly in order to generate ideas, solutions and experiences on any topic of your choice. The SuperMind Symbols are a practical, every day device to bring the conscious mind and the energy mind together, to catalyse the flash of the true SuperMind coming into being. 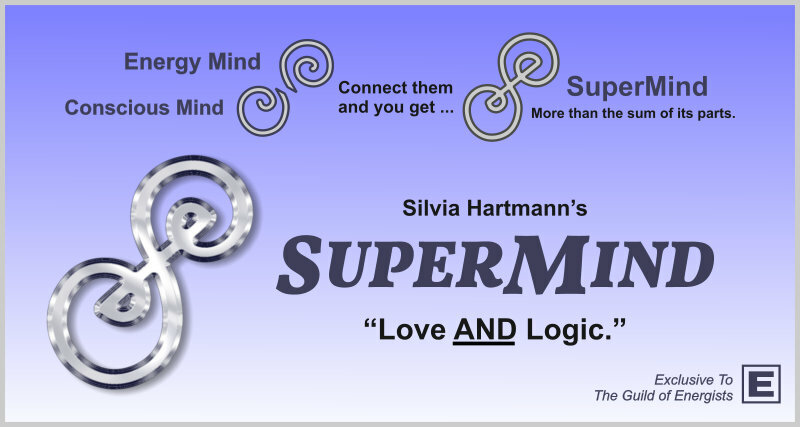 This is extremely exciting and enlivening - the energy body loves the SuperMind Symbols. In the SuperMind Mastes course, you will learn how to work with the SuperMind symbols for healing, reality creation and pure energy magic. The SuperMind Masters course comes from the modern energy paradigm, where the energy body is real and contains three supersystems which are structurally designed to work together - the energy heart, the energy mind and the soul or Zauberherz - the heart of magic. Making real, structural connections which have remained under-developed for lack of love and attention between these systems is a natural by-product of starting to engage the energy mind, which sits between the heart, and the soul. In the SuperMind Masters course, you will learn practical, profoundly simple methods of restoring communication with your heart, your mind - and your soul. Once the energy mind comes into play, and we consciously know how to access the energy mind's infinite resources at will, we have a whole brand new and entirely different way to solve practical problems of life on Earth at this time. There is no problem too small or too large, too ancient or too intractable that cannot be evolved when the astonishing resources and connections of the energy mind come into play. From better ways to deal with the laundry all the way to better ways to manage your entire incarnation, allow yourself to be totally astonished, surprised and super grateful for what YOUR BEAUTIFUL MIND can do for YOU! Please note that organisers may have only provided an approximate location (Southampton, Hampshire, UK SO14 3BQ) so please contact them to confirm before making your booking or travelling to the venue.